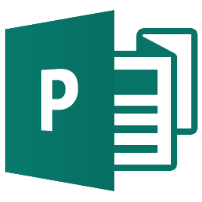 Using MS Publisher you will learn how to create a range of publications such as posters, certificates, newsletters and cards that can be used both at work and for clubs, charities and training. The purpose of this course is to introduce you to all the commonly used features of Publisher. By the end of the course you should be able to produce attractive, professional publications. You should have attended the Word course or have a basic working knowledge of word-processing. Adding and working with text boxes. Creating a publication with pictures and words. Lesson 2 Looking at the templates and taking them apart. Use layering to create new shapes. Numbering pages in a booklet. Note: There will be homework as you need to have a go at skills learnt in order to progress!